I want to put a DNA 250 chip into a Hugo Boxer Mod which has a simple chip in it. Has someone tried this yet? Do you already own the Hugo Boxer Mod? Yes, i already own a Hugo Boxer Mod. I wonder how it looks inside and if there are Screws at the places i need to fix the DNA 250. Good Idea. I found 2 people who did this too. One said it is no problem and everything fits, the other said he had to work on the enclosure to make it fit - mmmh? Yes the board gets attached directly to the Case with included screws, no need for Ground to 510. The board grounds direct to enclosure. It would have been nice if there was room for a battery connector (XT30) but there is not. 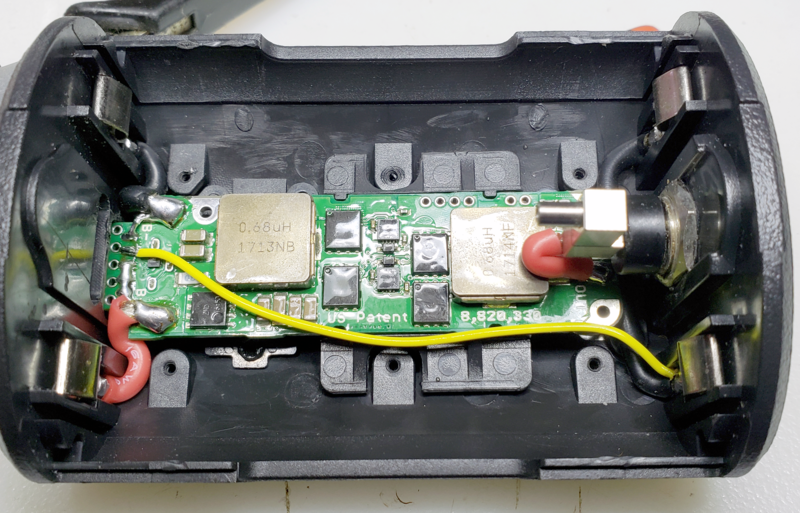 A live connection to the battery is ok. The way I have put mine together is, I pre fit the chip to make sure the buttons work with out any problems. I cut the 510 + wire to size & tin the end. Make sure there is enough slack in the wire for the spring in the 510 to travel freely. I put a bend in the screen lead, carefully so it loops back onto it self, this important or the lead will get trapped under the fire button & malfunction. I put a small piece of foam attached to the board with electrical tape directly behind the screen, this will keep slight pressure on the screen between the board & the back of the screen to hold it nicely in place. I solder the + - from the battery direct to the board, Carefully put the chip in the enclosure, making sure the screen is in the recesse ( a small piece of tape on the back of the screen helps here) once the board is fitted, I check the buttons move freely & the screen is working & postioned well while holding the chip in with my hand. If every thing looks good? Connect the board to the enclosure with the provided screws, carefully solder the + 510 wire to the board. THANKS FOR THE INPUT STEAMER861 did you use the 4 pin balanced charge connectors for the board and batt? thanks.i had to switch user interface to manufacturer to get the mod tab.the tutorial I was following didn't say that.lol.thanks for giving me the specs also. Yes, it can be done. 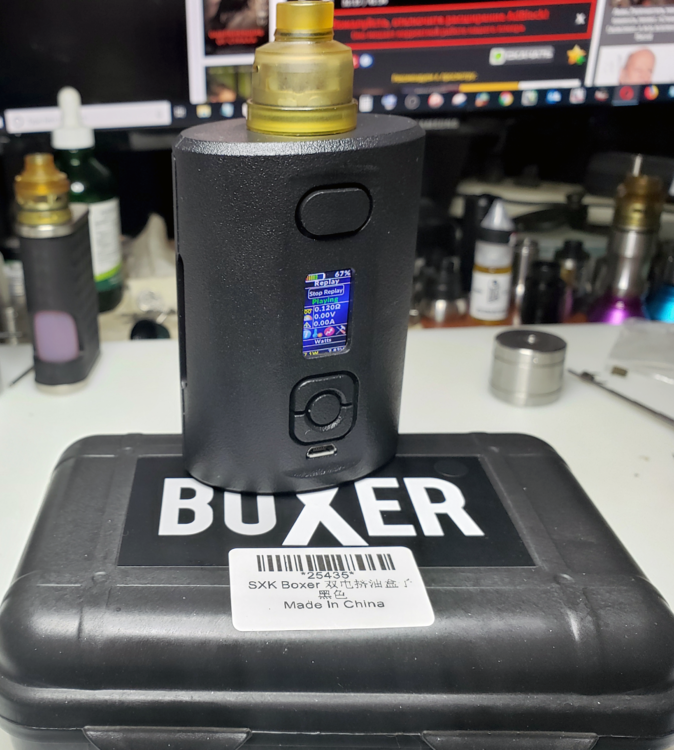 I just got a DNA 250 board out of a c2d1 mod and installed it successfully into a Hugo Vapor Boxer Rader mod. It was worth the effort! I didn't try that. But I installed Evolv DNA250C board in SXK Boxer Clone. I also have an original Ginger Vaper Boxer DNA250C, but this one came out better. Damn @AMDtrucking,easy swap? It looked like it could work, shoulda figured you'd be all over it. It wasn't hard. It did require few adjustments though. But I didn't use anything except Dremel and X-acto knife to cut plastic. @AMDtrucking I should have my SXK Boxer clone soon, as well. Thanks for the pics. I suspected (hoped) it would be a direct replacement for the SXK board. Can you PM me or post some pics of the stock SXK board? Thanks! Because the DNA250C board is longer on the bottom, I milled (with Dremel) a small cavity in the bottom of the case. Also, nonexistent "SELECT" middle button has a hole in it. I filled it up with a little white delrin plug. I made that photo for my Russian friends and marked it in Russian. But I'm sure, you'll understand. Карман - cavity, Заглушка - plug. Also, DNA250C has one of it's inductive transformers offset to one side, you will need to cut a hole for it in the plastic cover. Окно - hole in this case. And I'm sure you know how to solder jumpers, on the board, to make it work properly, with two batteries.